In this episode of the Calvert County Lifestyle podcast i’m joined by Val Mayer of Home Town Real Estate, but that’s not what we are talking about today. 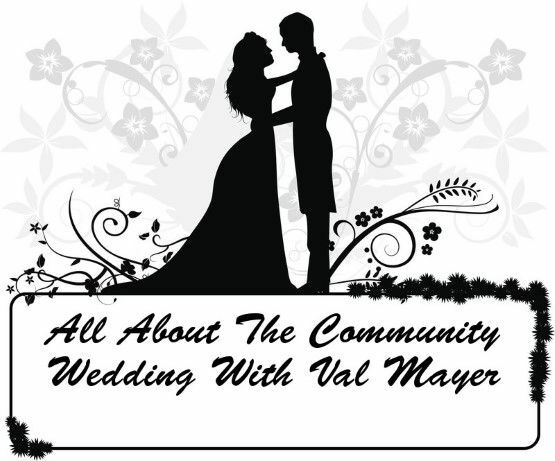 Val organized a community wedding for a local Huntingtown couple and this episode details how the how process came about and the generosity of the Calvert County community and the people and businesses that showed their support. Here is a list of all the businesses and individuals that participated. You are listening to the yourcalvert.com Calvert county lifestyle podcast episode number 6. So this podcast is a little different from every other podcast we’ve done so far in that this is our first inspirational podcast, showing just how amazing the Calvert county community is. We’re gonna talk with Val Mayer who’s a real estate agent, but that’s not what she’s talking about in this episode. She’s wearing a different hat today, more of an organizer that brought about and put on this amazing event that we’re gonna call the community wedding. I don’t want to give away any more details now so you’ll have to wait until later in the episode until we interview Val, and I’ll let her explain it in greater depth. Welcome to the Calvert county lifestyle podcast by yourcalvert.com. The original podcast exclusively for calver county and dedicated to help you get the most from the place you love to play or call home. Listen for the latest events, food and drink reviews, business and real estate updates, interesting interviews and more. Now here’s your host, clif bridegum. To get the show notes or full audio transcript for this podcast, you can go to yourcalvert.com/6. There you will find links to every company that’s mentioned later in this episode, the voicemail system if you’d like to leave a comment or share your thoughts, as well as all the ways to subscribe to the podcast. Before we get to that, we’ve been doing a lot of work this week on the website, making it faster for all of our visitors as well as doing a few other backend optimizations as well. So we’re really excited to get those all rolled out and you may or may not see them, but it doesn’t mean we’re not working hard for you guys to bringing you the very best that we can. We’ve added some more reviews in the food and drinks categories, we’ve got quite a bit more lined up for you coming out as well. We’ve got some new neighborhood guys that are almost done and now we’ve got a brewery tour for you that we are gonna be releasing shortly. We’ve even got some new coverage on the dominion cove point coming as well next week. And last but not least before we get to the interview, we can’t go on without mentioning the snowstorm that we just got earlier this week here. Down here I record about 4.5 inches out in my yard with my little ruler out there, stabbing away at all the different spots in the yard trying to get an accurate count. So I hope, looks like it’s pretty much all melted down my way, at least off the driveway anyway, so I hope you’re able to get out in your back to work and the kids are back to school, so we’re crossing our fingers that we don’t have another huge one next week. Without further ado, let’s go ahead and get to that interview. Today I’m joined by Val Mayer, hometown real estate agent and Calvert county native. Val, will you just come online and say hi to everybody out there? Hey yall, how ya doin? So Val, I’ve heard a lot of chatter out in the community about this community wedding and I just wanted to find out more about it and how it came to be and found out you’re the organizer, so tell us a little about the background and how exactly did this happen or this formation begin? Sure clif, it’s something I’m so passionate about, I’m so excited that so many people in our community want to be a part of this and want to know more about it. It’s a local couple, her name is Sarah Dexter and she’s from hunting town. Her fiancée is actually not from here, he was raised in Cambodia; his parents were missionaries. I was invited to their wedding, they’re college students in Lynchburg Virginia due to graduate the first week of May. They had saved, they worked, they saved their money, put together a small wedding fund for themselves and they found a dream destination in Lynchburg, in a beautiful winery setting. When they came to me recently and said hey you know, we know you’ve got the invite for our wedding, we’ve since decided to call the wedding off, and I’m like, what? You know. There’s something I missed here? What happened? Did you just get uninvited? So I said you know, I hope everything’s okay, and they said yes, we’ve had the amazing opportunity was brought to us to be a part of a missions trip in Israel and we just didn’t have the financial needs or means to do both a wedding and the trip to Israel, so we thought it was more important to go to Israel on this missions trip than have the fancy wedding that we had hoped for. So we then decided to host the wedding at our parents’ home in hunting town so that’s how it all started. Once I heard the story. So I knew that I had a few photographer friends on facebook, and I decided to surprise the couple and reach out on facebook. I blocked the couple so they couldn’t see the post. Yeah, I love facebook for things like that. And reached out and say they told a little background and said is there any photographer that could surprise this couple, this is what they’re doing, with a free session for their wedding at their parents’ home? I immediately got response, which I thought was amazing, and we ended up on just in time photography, they said I’m available that day, I’d love to be a part of this, and I thought that was so cool. Immediately upon seeing the post, crow entertainment, Brian crow says, hey wait a minute, you’re not gonna be a part of this without us. We want some of this. This is good stuff. And jumps on board immediately and says we wanna give this couple the best reception ever. Count us in. and I just, I couldn’t believe it, I said this is so cool. After that, floral expressions in Owings comes on and says can we do anything for the bride, does she have her bouquet, and I’m like, as a matter of fact, no she doesn’t. yeah, and they said well we would be homered to be part of this, and not only are they making the bridal bouquet, but also the cake topper, which by the way, has graciously been donated, the entire cupcake tree, along with the cake topper by end hunger culinary school. Caroline alley heads that up with revered Hahn of Chesapeake church, and they’re training students for culinary positions, and they said this is an amazing opportunity for us to put our students in the community since it’s a community effort, we would love to be a part of it. it’s just unbelievable. That’s amazing. So end hunger jumped in and took it as an opportunity to teach their students. I still can’t believe it. after that, we had heather martin of martin’s fine jewelry which as you know, she is just loved, does a lot of volunteer work, her jewelry is just amazing, and she comes aboard and sent a private message do the couples have their rings, and I said, no heather, they don’t. and she said well I would just honored to have the opportunity to give this couple their rings. And I just couldn’t believe this. And I said, I just, you know, to me god is so good and it’s just amazing. Then colony south hotel, which is an upper end hotel, it’s got some prestige associated with it and there’s always big banquets at the hotel and it’s beautiful, they send me a message and say we want to honor this couple, we’d like to give them the honeymoon suite the night of the wedding. So as you can see, the list goes on and on, I mean, then we have Carrie Herman from radiant vintage jewelry says please allow me to give the bride her jewelry for the day, I want to dress her in earrings, necklace, bracelets, make her look good. Ronan as you know, a huge advocate in our community, also does, she’s a makeup artist, a fantastic makeup artist, says I would like the opportunity to do the bride’s makeup for the day, on her special day. So we have her doing that as well. The big big big one, as I told you earlier, in the interview, they had at their location was in Lynchburg Virginia at a gorgeous mountaintop winery. I reached out to a friend of a friend. She didn’t want any recognition, but I’m going to give it to her. I know a lot of people which would give your people a call over a parago winery and just see if you could set up a meeting, just an opportunity to see what they think of maybe hosting the wedding. She did, they said they agreed to speak to me, I talked to the man through Kate, Kate took it to the owners, the owners said we’re in, let’s do this, so we have the amazing parago winery in off of maple road in st. Leonard giving us the dream destination. They’ll be married in this beautiful winery, it’s just unbelievable. End hunger, in addition to the cake tree, the cake and the cupcake tree are now also doing the catering. So they will have their students in full dress cooking and serving, it’s just. That’s fantastic. That’s a great opportunity for them to do it. Show people how to go about hosting an event. Absolutely. We still, the community, I knew we lived in a fabulous place, I was born and raised here. And I’ve always seen, it’s been a very giving community and place to live, but being a part of it and actually putting it together for me has been a blessing, to me, I feel like it’s a blessing to be apart of something like this. To me it’s the ultimate self sacrifice; to give up your wedding for children anywhere, but you know, especially children in Israel, the bride is there, the bride to be is actually there now. So we’ve been communicating with her back and forth limitedly through facebook and other social media. She’ll be home soon and it’s exciting to be a part of this and she cried. She cried when seeing this, and it’s just amazing, also I do have to, I’d like to give my husband a shoutout, Bryan Mayer of C&F mortgage is giving a monetary gift to any area that’s needed to make up for anything that we might be missing within the. Yes. We still need, if anyone’s out there, that is available, we’re still looking for tables and chairs, and tents. One big tent would work, but we’re still looking for that if anyone’s interested in helping me please contact me at 410-610-4752. And I too would go ahead and like to thank you for starting this whole process. Allowing it to become what it is. Thank you, I really appreciate that, again, for me, it’s just an honor to be a part of it. I look forward to finding other opportunities to serving others. To me that’s what makes a community and the world go around. Alright Val, so before we close out I’m going to go ahead and cover all those people that have helped out in this effort here. We have C&F mortgage, brain Mayer, we have Brian McDaniel of crow entertainment and his team. Formal expression, that’s alt and his wife. Natural looks by Victoria Ronan, end hunger, Caroline alien and reverend Hahn. Radiant vintage, Carrie Herman, martin’s fine jewelry, that’s heather martin, colony south parago, Valery not grove of Calgary resources, and of course my guest Val Mayer of hometown real estate. Do you have any final comments you’d like to say before we close out? Yes, one of the biggest helps here that you forgot was yourself. I just want to give you a big shout out, clif, because you’ve taken time out of your day to volunteer your services and this is so awesome, if you’ve not been to his studio, you’re missing out. It’s amazing. I feel like I’m in New York City or something. This is crazy. And just thank you so much because you’re getting the word out about Jake and Sarah and the amazing commitment that they gave to these children in Israel and gave up their wedding and you’re getting the word out on these businesses and the people in these businesses, and the community they’ve given up their time and money to be a part of this. And it’s just, it’s so important that this gets out, day in day out we hear bad news and this is just so, it’s so nice and wonderful for all of us to get a chance to experience this. You may not be a part of it, but you’re a part of it by listening and knowing, so thank you so much clif, again your business, could you please tell them what your business is? There you go, Your Calvert. So I thank you again clif, we really appreciate the time and the effort. Thanks Val for coming on the show today. If you and the Calvert county community have a comment or something you’d like to say, be sure to listen to the end here and you can leave a voicemail directly from this post. And if you’d like to see e more information about any of the companies mentioned you can visit the show notes. Yourcalvert.com/6. I hope you enjoyed this episode of the podcast, if you want more podcasts like this please let us know. Leave a comment, leave a voicemail, send us an email. One quick final note, if you’ve missed any of the previous episodes of the podcast, you can listen to them all from your selected client that you use; the iTunes store, stitcher radio, Microsoft catalog, or you can go directly to our website at yourcalvert.com/podcasts with an s on the end there. Podcasts. And you can scroll through and listen to any of the other shows directly from the website. Thanks for listening to the yourcalvert.com Calvert county lifestyle podcast. You can subscribe for free to all updates that your Calvert does at yourcalvert.com/go. That will take you to our why subscribe page, it lists out a bunch of reasons why you should subscribe. Once you do that you’ll get daily email updates form everything we released from the blog, it will be delivered to your inbox free of charge. If you’d like to subscribe to the podcast episodes only, you can do it via iTunes, sticher, Microsoft, or the raw feel url is listed on the website as well. To subscribe for iTunes, the link is yourcalvert.com/apple that will redirect you to the iTunes page where you can listen to our episodes there as well as subscribe, so all future episodes are downloaded directly to your device. Next up is sticher, sticher radio, you can go to yourcalvert.com/stitcher, that’s stitcher. And that will redirect you to the stitcher page. Where you can subscribe in addition we’re also on the Microsoft catalog. If you’d like to leave feedback for the show, you can do so on the show notes page, that’s yourcalvert.com/ the episode number, just the numeral, any episode that it is it’s yourcalvert.com/ that episode number. Leave a comment on that page; scroll down to the bottom; you’ll see a box where you can enter in any comment of your choice. If you’d like to leave a comment via voice, you can go to our voicemail page, which is yourcalvert.com/vm like voicemail, vm. And that will allow you to record a voice comment; it’s not a hotline. It’ll let you record using your computer or the speaker and microphone on any of your mobile devices or tablets. That will let you record your message, let you play it back to yourself and when you’re done you can submit it directly to us. We’d also like to thank each and every one of you that has shared the podcast or any of the articles on the website with your friends and family. We truly appreciate that you continue to share those articles or tell your friends or family members about the podcast and yourcalvert.com. Thanks so much, see you next week.